Dogs for adoption that you may find through rescue organizations have often had a rough time and may have been traumatized, but there are things you can do to help them make the transition to your home. 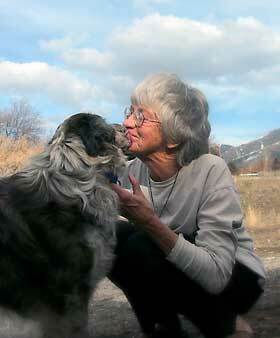 Find Australian Shepherd Rescue Organizations in your area. Australian Shepherd Rescue Listings are provided as a free service. Before you adopt a dog or puppy and welcome them into your home here are a few tips to make the adjustment easier – for both of you. First, let me thank your for considering adopting a dog from an Aussie rescue organization or shelter. There are many wonderful dogs and puppies that are in need of loving homes. Since buying from pet stores contributes to the problem of puppy mills its great to see whenever people look for their new Aussie in rescue shelters. It should always be the first place we look! After visiting several shelters or Australian Shepherd Rescue websites you may find the perfect match. However, please keep in mind that the dog rescue volunteers and staff will want to make sure that your home is the right match for the dog too, so they will likely ask you questions as well. Rescue dogs need loving homes like yours. Some of these dogs may have had a rough time and it's important to do everything possible to make sure they don't wind up back at the shelter in a few months. Nobody wants that. If you know all about Australian Shepherds, maybe you've had one, and you're certain they are the right breed for you – that's great. If you haven't had an Aussie before please read this article for some advise before getting an Aussie. When it comes to choosing your new dog or puppy you will want to be alert for signs of aggression and that they have an even temperament. For example if they have a friendly demeanor, engage in play and are willing to share toys with you it's a good sign. You want to find a dog that is attracted to you and that you feel a connection with. If they are aloof, possessive of their toys, bark at you, lunge at the enclosure, etc. you are likely dealing with a more aggressive dog. That's not to say they won't make great pets, but you will have a lot more work on your hands. This would not be the best choice if you have children in your home, or if other people's children come to your home. Never leave children unattended with a new dog regardless of what you think their temperament or aggressiveness is. Moving into a new home can be an upsetting time for any dog or puppy. They will be stressed and confused until they've had time to settle in to their new surroundings and learn their place in your family. This can result in fear or aggression based biting. While some rescue organizations deal with specific breeds and can provide you information about the background on a dog adoption you are considering, this is not always the case. While we love our new dogs it would be nice to know what breed they are or which breeds if they are a mix. This is for more than just satisfying curiosity. It can also be important for understanding the behavior of your dog as different breeds have had different instincts developed (like herding with the Australian Shepherd, for example). It can also be important to know which diseases they may be at risk for as a result of their genetic make-up. What Breed Is Your Rescue "Aussie"? It's not always 100% sure what breed a dog is when you get them from a rescue organization. If you would like to fiind out it is now possible to genetically determine the ancestry of the parents, grandparents and even great-grandparents. Different dog breeds have different needs, behavioral issues, health problems, exercise requirements, etc. Now you can take the guesswork out and satisfy your curiosity once and for all. Dog adoption from an Aussie rescue shelter is a great way to find your new dog but the transition period is crucial. This is understandable and with patience and guidance your new family member will begin to feel relaxed and secure in no time. If you already have pets it is important to remember that bringing a new dog or puppy into your home can be stressful for them too, not just for the newcomer. Older dogs are especially vulnerable to feelings of grief. They can be emotionally upset and may miss their former homes and other pets they may have been with. Of course making sure your new dog or puppy feels safe and secure, has good nutritious food, fresh water, plenty of exercise (vital for Aussies) and lots and lots of love will also help insure success. A guide to dog adoption, choosing, caring for and training a puppy or adult dog to suit your lifestyle. Kennels, breeders, clicker training, breed profiles. We present dog raising and ownership, the hard work involved, bad and good - as it really is.